Breaking Bad hit the airwaves in January of 2008 and soon took the world by storm. The series was catapulted into the annals of history as arguably one of the best shows to ever air on television, and it had spectacular ratings to match. Who would have guessed that a show about a cancer-stricken chemistry teacher-turned-meth-mogul would make such an amazing story? Let’s take a look back at some of the moments, actors, and stories behind Breaking Bad that made it such a memorable moment in television history. We’ll also learn about some of the meaningful secrets and “Easter Eggs” that were scattered throughout the series. 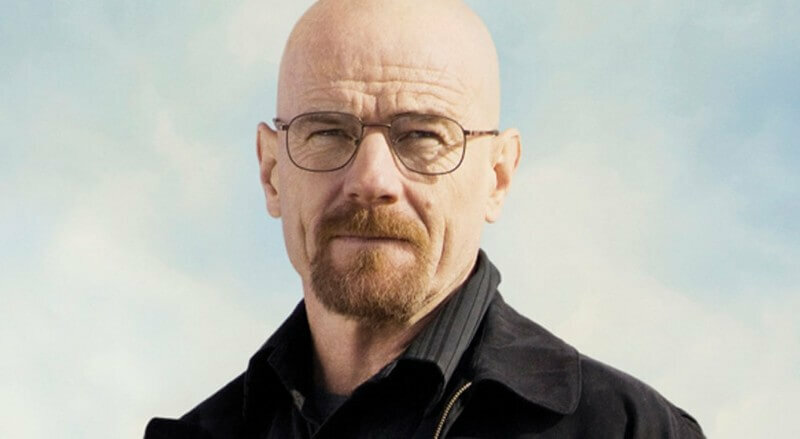 You won’t believe which star the show’s producers wanted to play Walter White! Multiple networks passed on the show, including Showtime, TNT, FX and HBO, which they all surely ended up regretting. Vince recounted his HBO meeting, saying, “The woman we [were] pitching to could not have been less interested—not even in my story, but about whether I actually lived or died.” Eventually, the show did find a home on AMC. Thankfully for all of us! Read on to find out the truth behind that bright blue meth. 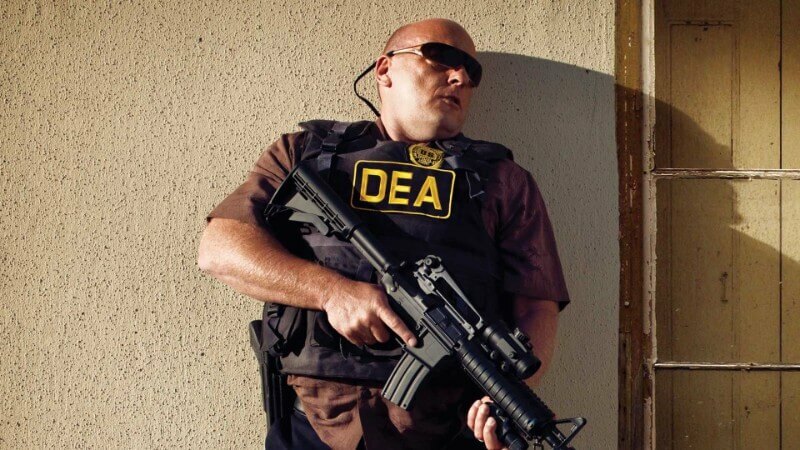 When they were first writing Breaking Bad, creators reached out to the Drug Enforcement Agency because of the very drug-oriented content of their show. The writers reached out to the agency and asked for their input. 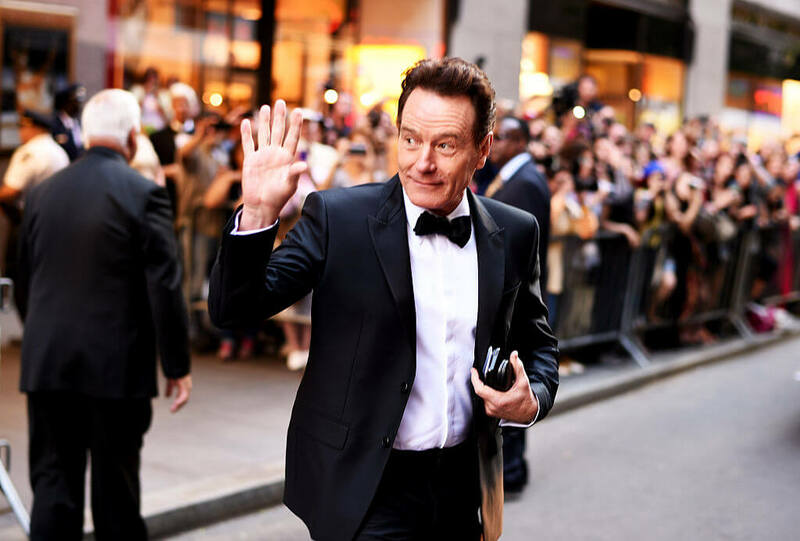 Speaking to High Times, Bryan Cranston commented on the agencies involvement saying, “We informed them—with all due respect and consideration—that we’re doing this show, and ‘Would you like to be a part of it in a consultancy in order to make sure that we get it right?’”. Much like enlisting the DEA, Breaking Bad creator Vince Gilligan also reached out to noted chemists in order to effectively portray the science of meth on screen. He brought in an advisor in the form of Dr. Donna Nelson who works as a chemistry professor at the University of Oklahoma. She consulted the show in order to make sure that the science behind the meth-making process was pretty close. She admitted that the science is pretty close but not “perfect”. She spoke to Mental Floss, saying, “The goal is not to be a science education show; the goal is to be a popular show. And so there’s always going to be some creative license taken, because they want to make the show interesting.” But obviously, you don’t want to actually teach viewers how to make their own meth! What’s the deal with that blue meth, anyway? Dr. Donna Nelson also talked about the reality behind that blue meth. She said, “In the case of Walter White, his trademark is the blue meth. In reality, it wouldn’t be blue; it would be colorless. But this isn’t a science education show. It’s a fantasy.” As for that blue meth seen in the show, producers actually used blue rock candy from “The Candy Land” candy store located in Albuquerque, New Mexico. Remember Walter White’s jerk boss? Breaking Bad was rife with on-set people who were very well versed in science. In addition to bringing in the DEA and chemist consultants, they even had a chemist on screen. Actor Marius Stan played Bogdan Walter’s rude car wash boss. 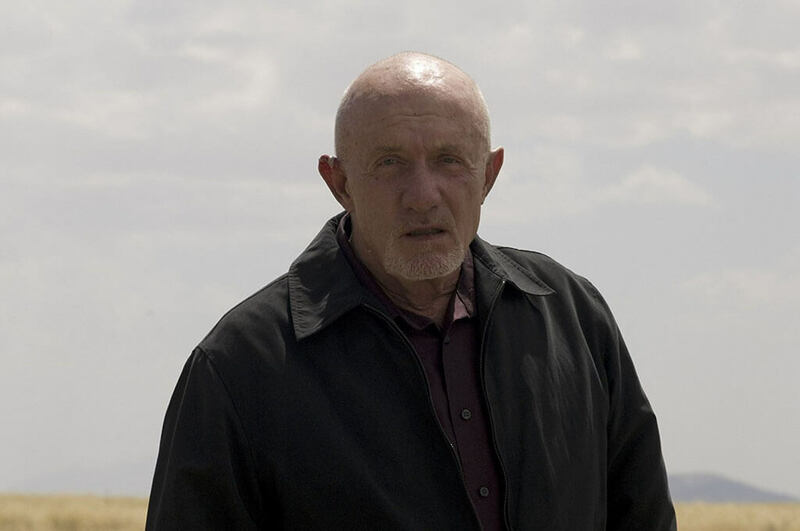 Marius was new to the acting game and Breaking Bad was actually his first role ever. It turns out that Marius had another chemistry connection. He’s a chemist himself and has a Ph.D.in chemistry. During a Reddit AMA, Marius revealed that he is a “Senior Computational Energy Scientist at Argonne National Lab—which is one of the national laboratories under the U.S. Dept. of Energy—and a Senior Fellow at the University of Chicago, the Computation Institute.” Wow! As it turns out, landing a role in the chemistry-rooted show was just a coincidence. Keep reading to find out which fan-favorite character was almost killed off in the first season! It’s science, *redacted*! Jesse Pinkman, played by Aaron Paul, was one of the central characters on the show. But originally he was not planned to be a major character and was supposed to die off around episode nine. The show became centered around the dysfunctional father-son relationship between Jesse and Walter White. 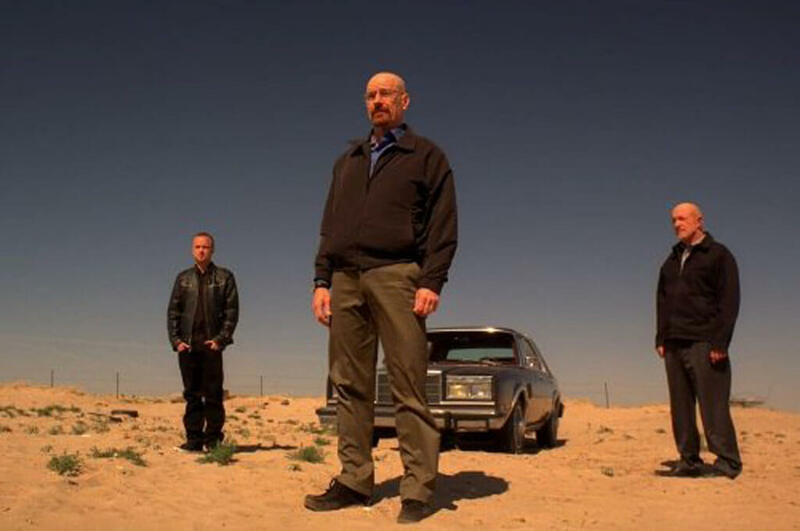 When the writer’s strike hit Hollywood, it affected tons of TV shows including Breaking Bad. The strike ended up causing the first season of the show to be shortened. Gilligan had to cut two episodes which would have shown Walter White’s progression into Heisenberg. However, this progression would have been much faster than what ended up making it to air and could have possibly changed the entire story arc of the show. Coming up: which star did producers hope to nab for the role of Walter White? Is A Breaking Bad Movie Coming? 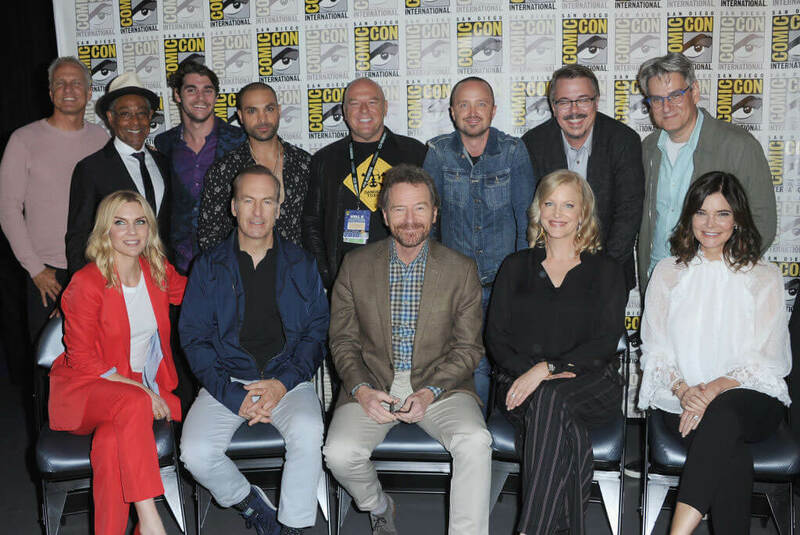 In July of 2019 members of the Breaking Bad cast reunited at Comic-Con to celebrate the show’s 10th anniversary. Creator Vince Gilligan was also on hand to answer fans’ questions. One of those questions was whether a Breaking Bad film was in the realm of possibility. Gilligan’s answer got many people excited. “Anything’s possible,” he said. “We live in a world fraught with possibilities — good and bad.” Also adding to the excitement: Aaron Paul brought his five-month daughter, who was dressed as a sweet little version of Walter White. 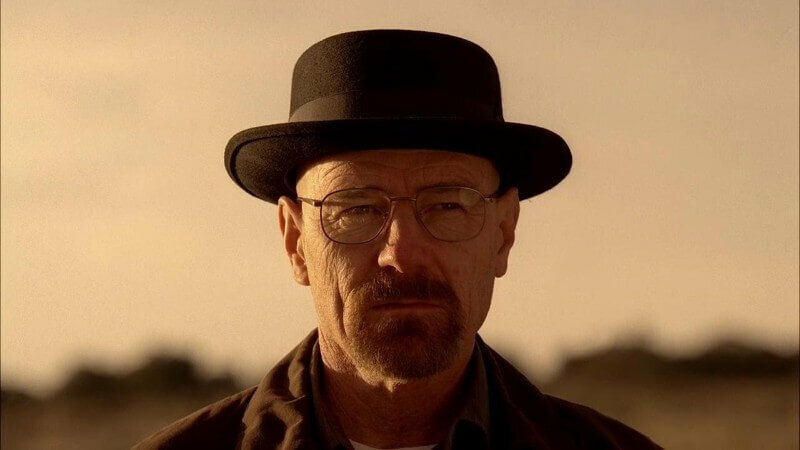 Heisenberg’s signature look of bald head and porkpie hat came to be because of Bryan Cranston’s own request. The show’s costume designer, Kathleen Detoro, said, “Bryan kept asking me, after he shaved his head, ‘Can I have a hat?’ because his head was cold.” Detoro said she continuously asked Gilligan, who was not keen on the idea. She said, “So I would ask Vince and he kept saying no; Jesse wore the hats. 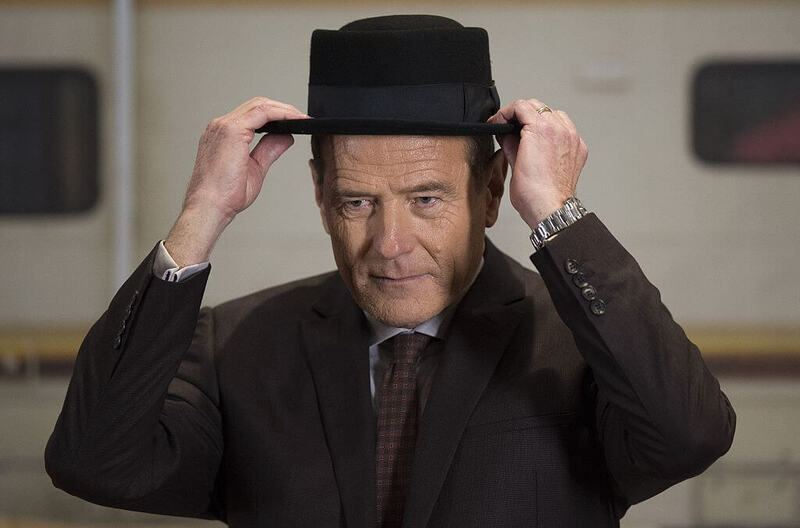 Finally, Vince said, ‘I think there’s a place …’” Finally, Cranston got his hat and the addition of the porkpie number to his wardrobe cemented Walter White’s transformation into Heisenberg. By the way, the character Heisenberg is named after Werner Heisenberg, a Nobel Prize-winning physicist who established the principle of uncertainty. 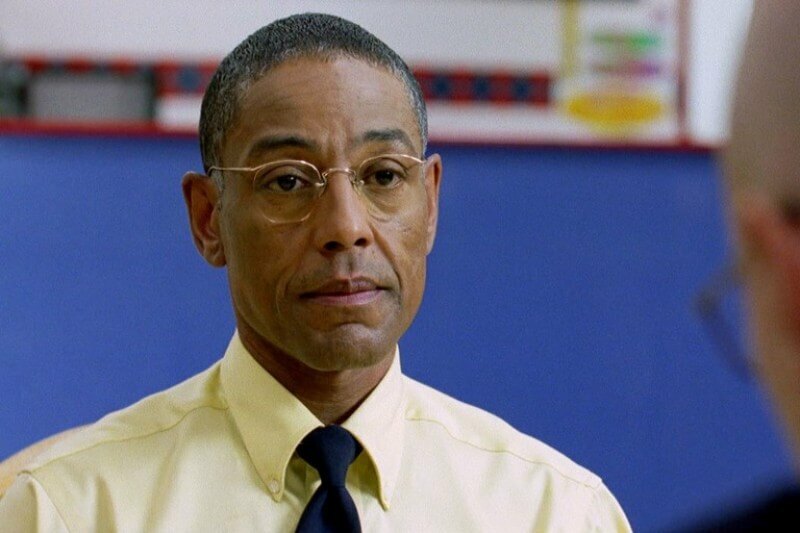 Giancarlo Esposito played the role of the terrifying businessman like drug dealer Gus Fring. Originally, much like Jesse Pinkman’s character, Gus wasn’t supposed to be a huge role. Esposito originally started in a simple guest spot but Gilligan ended up offering him a larger role after some prodding. Esposito was insistent upon creating a character. He told TIME, “There was some negotiating and I ended up doing 12 (episodes). I wanted to create a character who became intrinsic to the show. And at some point, I realized that I had slid into the Breaking Bad family.” He managed to create a terrifying villain who was both elegant and violent. Another hugely popular show lent a hand to Breaking Bad‘s special effects team. Find out which show it was by reading on! Esposito credited his successful role to his on-screen chemistry with Cranston as well as the writing of the show. “Vince told me that I changed the game and raised the bar for the show. And I’m proud of that, but I could only do that because of the depth of the writing and due to the chemistry between Bryan Cranston and myself. And their writing inspired me to think, to create someone who was polite, threatening and poignant.” As it turns out, he also gained experience from a past role. In the 1980s, Giancarlo did a guest stint on Miami Vice and worked with actor Edward James Olmos. He actually took inspiration from Edward’s character Lieutenant Martin Castillo for Gus Fring. 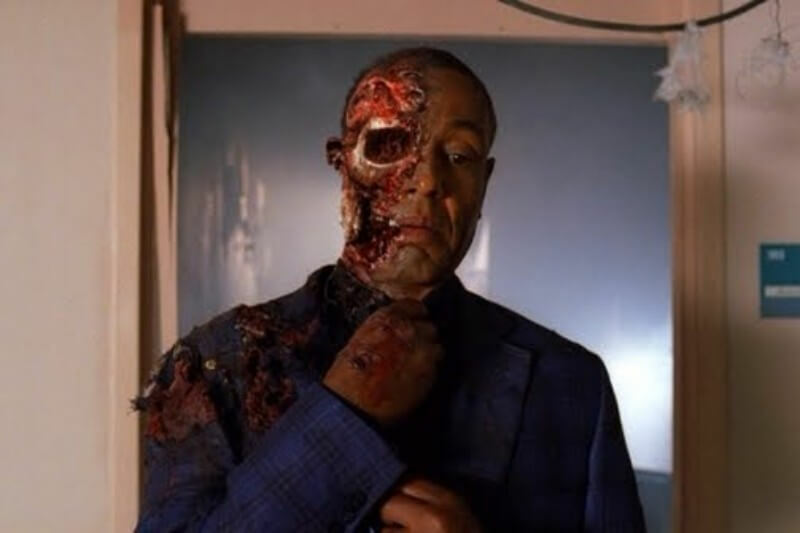 When villain Gus Fring is finally ousted in a totally explosive manner, Vince Gilligan ended up getting some help from The Walking Dead special effects artists. If you recall, the episode is quite gory and the effects were amazing. What better way to perfect the scene than with the help of gore experts from The Walking Dead. Vince Gilligan told The New York Times, “Indeed we did have great help from the prosthetic effects folks at The Walking Dead. I want to give a shout-out to Greg Nicotero and Howard Berger, and KNB EFX, those two gentlemen and their company… And then that was augmented by the visual effects work of a guy named Bill Powloski and his crew, who digitally married a three-dimensional sculpture that KNB EFX created with the reality of the film scene. So you can actually see into and through Gus’s head in that final reveal. It’s a combination of great makeup and great visual effects. And it took months to do.” The final product was definitely terrifying, to say the least! 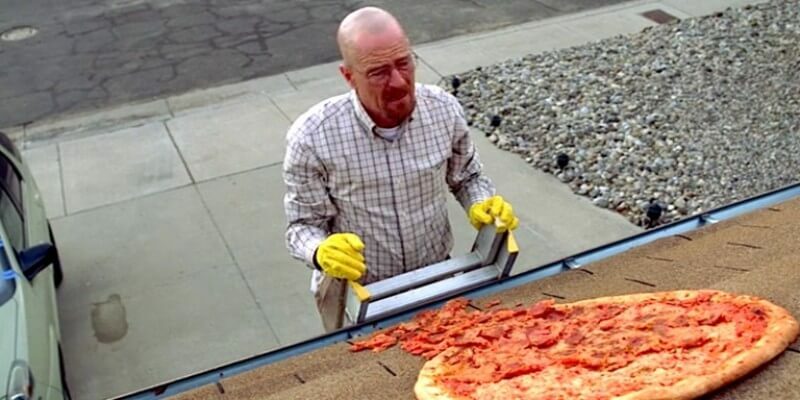 In one episode of Breaking Bad, an exacerbated Walter White throws a pizza which ends up on the roof of the house. The house used on the show is a real place in Albuquerque. 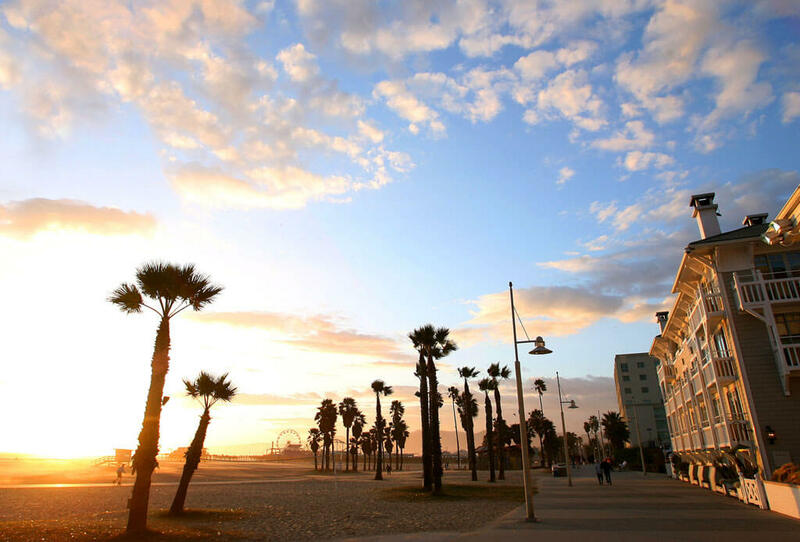 It has since become a tourist attraction much to the chagrin of the owners. Apparently, people regularly travel to the home and attempt to throw pizzas on the roof, which is quite annoying. Ferris Bueller = Walter White? After AMC decided to take a chance on Breaking Bad, they were pretty dead set on landing a star in the lead role. Apparently, the network really wanted Ferris Bueller star Matthew Broderick in the lead role which is hard to imagine now! Another name that was thrown around was John Cusack. 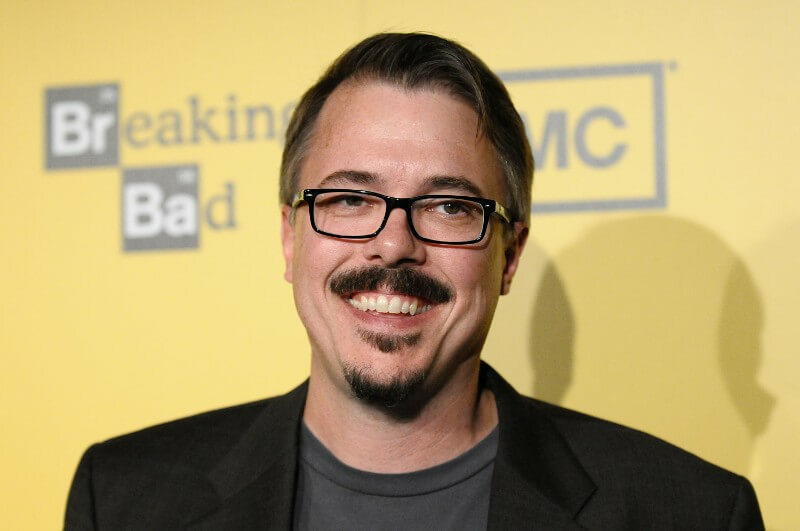 However, Vince Gilligan had previously worked with Bryan Cranston on an X-Files episode and knew he was right for the part. He basically had to convince the network to take a chance on him. A former AMC executive told The Hollywood Reporter, “We all still had the image of Bryan shaving his body in Malcolm in the Middle. We were like, ‘Really? Isn’t there anybody else?’” After Vince showed the executives the X-Files episode they agreed that Bryan could pull it off. Could you imagine anyone else as Walter White? During one particularly rough fight scene in the episode “Grilled” between Jesse and Tuco, played by Raymond Cruz, one actor suffered real physical consequences. Aaron Paul recalled in a Reddit AMA, “Yeah, Raymond Cruz who played Tuco gave me a concussion during the episode ‘Grilled’.” In the episode, Tuco takes Walt and Jesse to his shack in the desert. In the scene you can see where Jesse is thrown through the screen door, but his head actually ends up hitting the wood. Aaron said, “If you watch it back you’ll notice that my head gets caught inside the wooden screen door and it flips me around and lands me on my stomach and the door splinters into a million pieces. Raymond just thought I was acting so he continued and kicked me in the side and picked me up over his shoulder and threw me against the house, but in reality, I was pretty much unconscious.” Ultimately, Aaron blacked out and had to be checked by their onset medic before he ended up being taken to the hospital. Which scene was the hardest on cast members? Read on to find out! Aaron wasn’t the only one who had a difficult time with the scene. 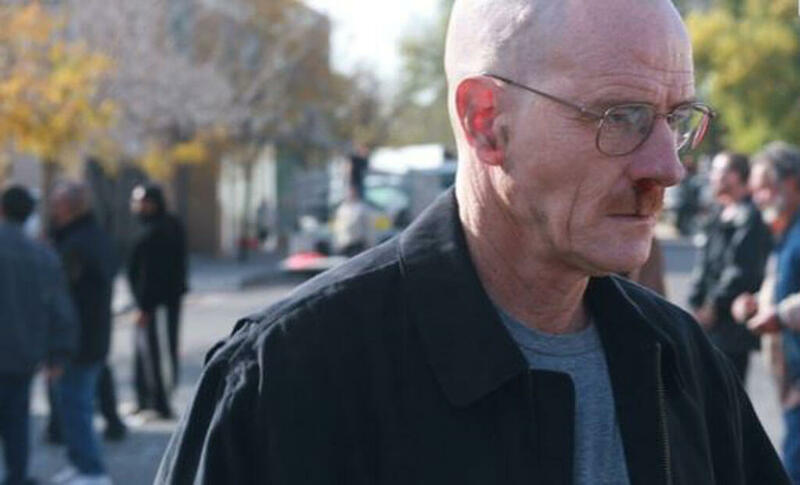 Allegedly, Bryan Cranston was also a complete mess after filming. 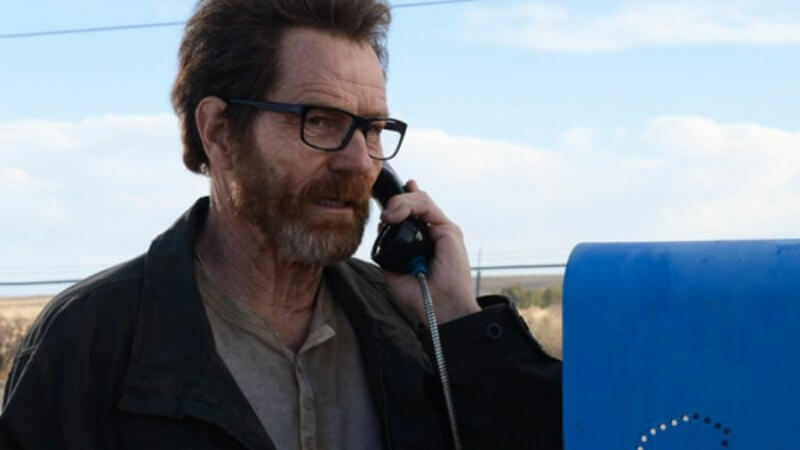 His character Walter his totally callous and uncaring in the scene but in real life, Cranston was said to have broken down crying after shooting the scene. 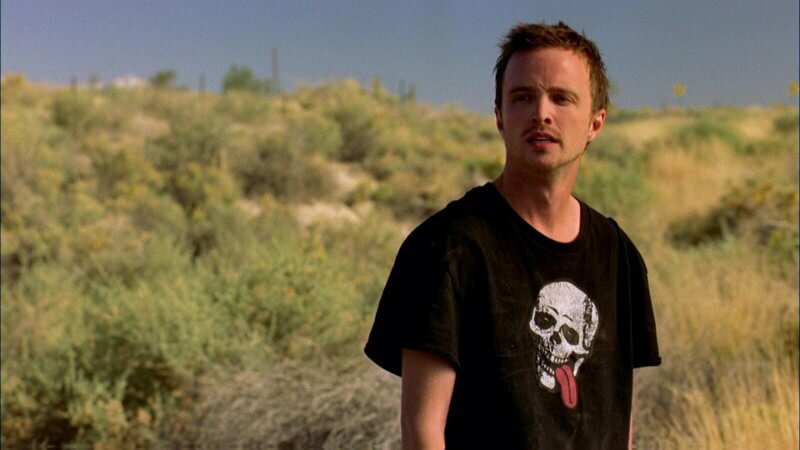 One standout feature of the show is that although the character Jesse Pinkman is a severe drug addict who also regularly gets into physical altercations, his teeth remained intact. In fact, one might even say that Jesse maintains a movie star smile. Apparently, his perfect teeth even irk Vince Gilligan. Warren Buffet is a billionaire and is considered to be one of the most successful investors in the world. 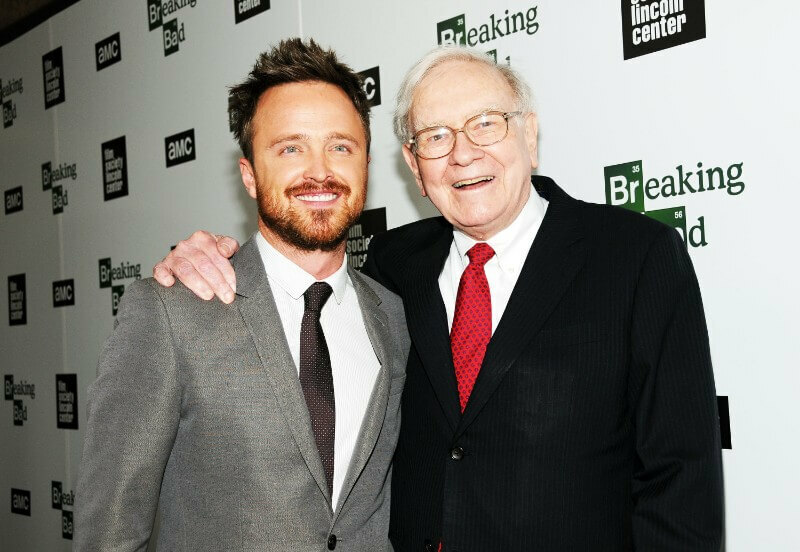 However, despite Buffet’s upscale way of living he was a fan of the gritty series Breaking Bad. He was such a big fan that he even came to the fifth season premiere. Buffet also loaded some pretty hefty praise on the fictional character Walter White. He said Walter is “a great businessman” and that, “he’s my guy if I ever have to go toe-to-toe with anyone.” It’s certainly a pretty laughable prospect to imagine the billionaire teaming up with a fictional meth mogul. Breaking Bad aired for five seasons and produced sixty-two episodes. Apparently, showrunner Vince Gilligan is big on hidden meanings and planned the exact number of episodes. The number sixty-two has special significance. It represents the 62nd element on the periodic table, which is samarium. Samarium was discovered by a French chemist in 1962 and is a moderately hard silvery metal. The radioactive isotope samarium-153 is used in the drug samarium (153Sm) lexidronam (Quadramet). This drug kills cancer cells and is used in the treatment of a variety of cancers including breast cancer, osteosarcoma, and lung cancer, which is the kind of cancer with which Walter White is afflicted. 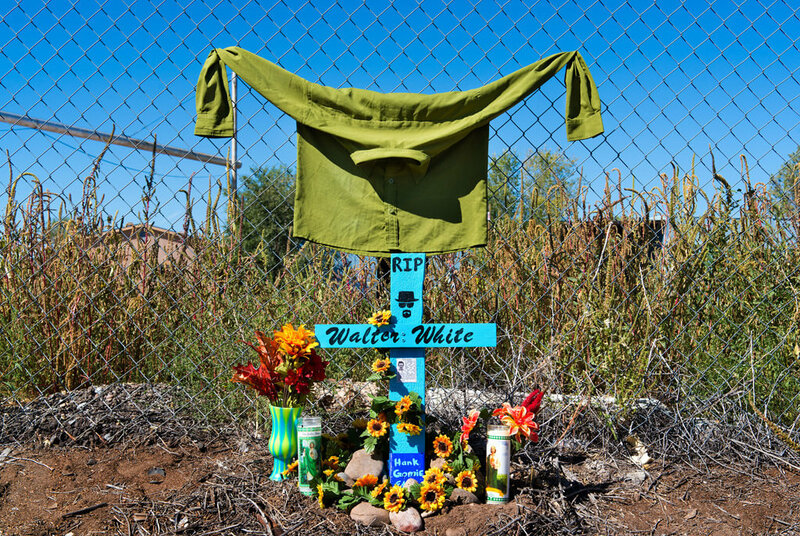 “Breaking Bad” culminated with the end of two of the shows favorite characters: Jesse and Walter. 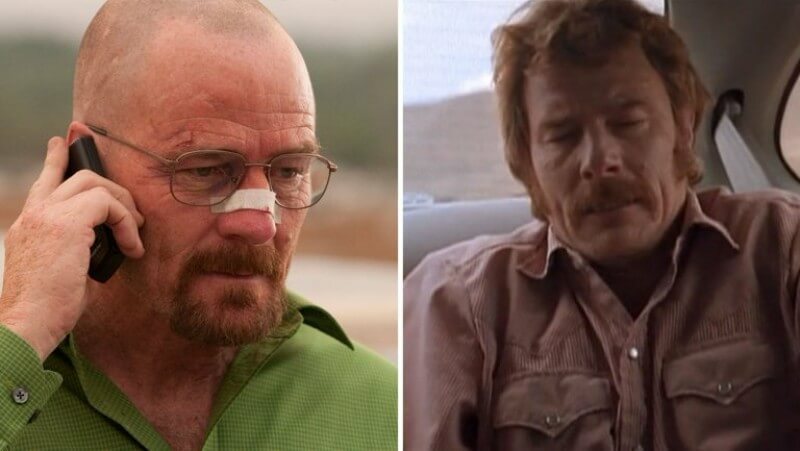 Jesse ended up leaving while Walter died in a meth lab. While the showrunners were able to offer closure for the audience, it was not an easy pill to swallow. Vince Gilligan revealed to Entertainment Weekly that the show almost took a totally different route. Vince Gilligan is a huge fan of sprinkling hidden meaning throughout the show, so of course, there are tons of hidden Easter eggs on Breaking Bad. In the very first episode, Walt ends up pantsless in the desert, which was one way to kick off the start of a series. Yet, as an easter egg, the pants from the first episode show up again at the end of series five. They just blow by in the background. Another interesting Easter egg is the inclusion of Gale. Continue on to see what happened to Gale. Gale, the poor nerdy chemist ended up experiencing an untimely death at the hands of Jesse (who was ordered by Walt). Of course, Jesse was totally tortured by his guilt for the remainder of the show and Gilligan planted many details reminiscent of Gale throughout the rest of the series. For instance, in one episode while Jesse is playing a video game, a character looks at a wall in the game which has graffiti on it that reads “Gale” backward. Vince Gilligan just loves planting these secret messages for viewers. Every Breaking Bad fan knows that Jesse Pinkman loved finishing his sentences with a delayed “B Word”. That was his thing, and fans began to say it like Jesse because it was honestly pretty funny. However, considering that it was one of the things that first caught the audience’s attention, he really didn’t say it all that much. In total, he said it only 54 times throughout the entire series. The whole series was 62 episodes which put things into perspective. Granted, most of them were probably said towards the beginning of the show, but it’s still less than you would think. Believe it or not, a real Walter White surfaced in Tuscaloosa, Alabama in 2016. Walter White, a then-55-year-old landed on the most-wanted list for manufacturing — you guessed it — meth. 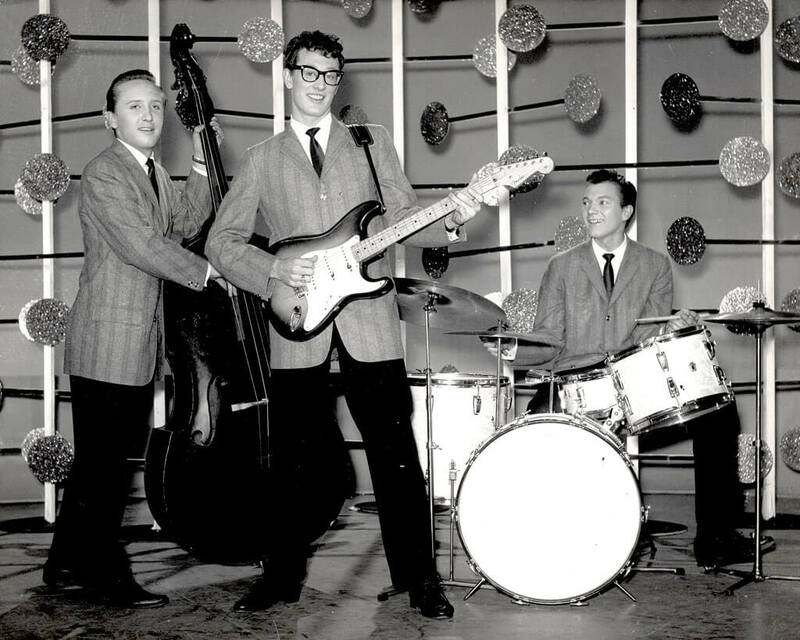 Unlike Breaking Bad’s Walter White, the “real” Walter White wasn’t a teacher. Some teachers seem to have been inspired by the AMC series though. In 2012, William Duncan, a chemistry teacher was arrested for selling meth, and in 2011, a 74-year-old math teacher was arrested for the same crime. 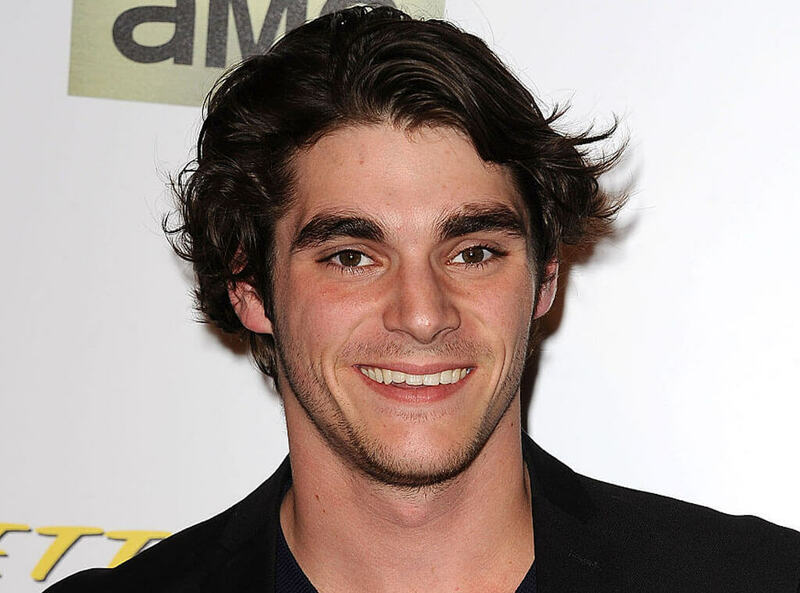 RJ Mitte plays Walter White’s son on the show who also has cerebral palsy. RJ Mitte also has cerebral palsy but only a mild case compared to his character. So, in order to make his disability seem worse than it is, he actually had to learn to copy the symptoms of somebody with a severe condition to make it seem as real as possible. This was not a difficult task, because it was a 24/7 effort while in front of the camera or else people would be able to tell that he was trying. However, he pulled it off great and nobody can tell otherwise. Earlier in his career, Brian Cranston appeared in the episode “Drive” from X-Files. He did such an impressive job on the shows that X-Files writer Vince Gilligan, who was also the writer for Breaking Bad, remembered it when casting for Walter White. Gilligan was so convinced that Cranston would be a perfect Walter White that he even distributed copies of the X-Files episode to AMC in hopes of convincing them that Cranston was the right call. It all worked out in the end, and we’re sure that AMC couldn’t be happier to hire Cranston as Walter. Over the course of the series, you may have noticed that Walter Whites clothing goes from very light beige to almost completely black by the end. This was done on purpose to demonstrate his transformation from a sweet and innocent science teacher into a flat-out evil person. This way it’s not only his actions that get noticeably worse, but his entire demeanor begins to show it as well. Nobody is going to fear someone dressed like a high school teacher when they could look like the ambiguous meth kingpin. 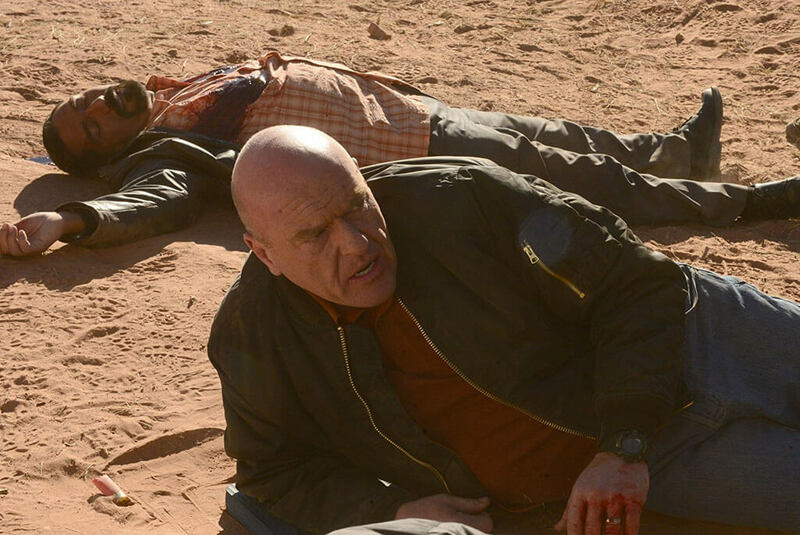 Ozymandias, the 14th episode of season five, is regarded as one of the most intense Breaking Bad episodes of all time. To put it simply, a lot happens, and — spoiler alert — a lot of people wind up dead. As the drama of the episode heightens, Walt kidnaps Holly, only to leave her at a fire station with her address pinned to her clothes. 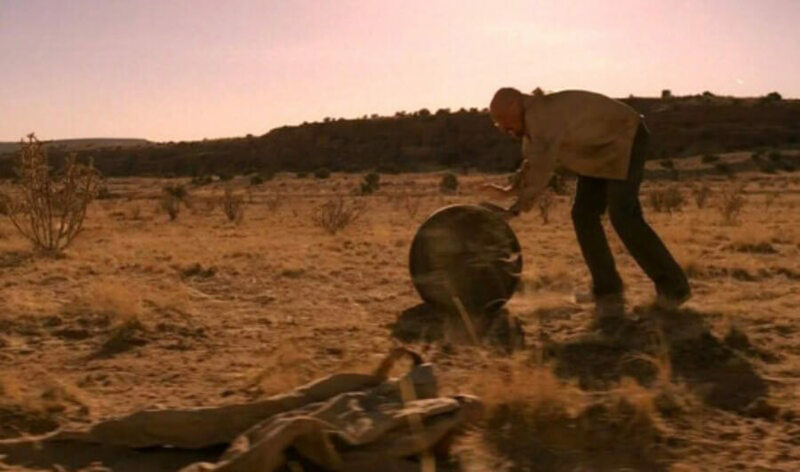 The episode ends with Walt standing alone on the side of the road with only a suitcase and a barrel of money. 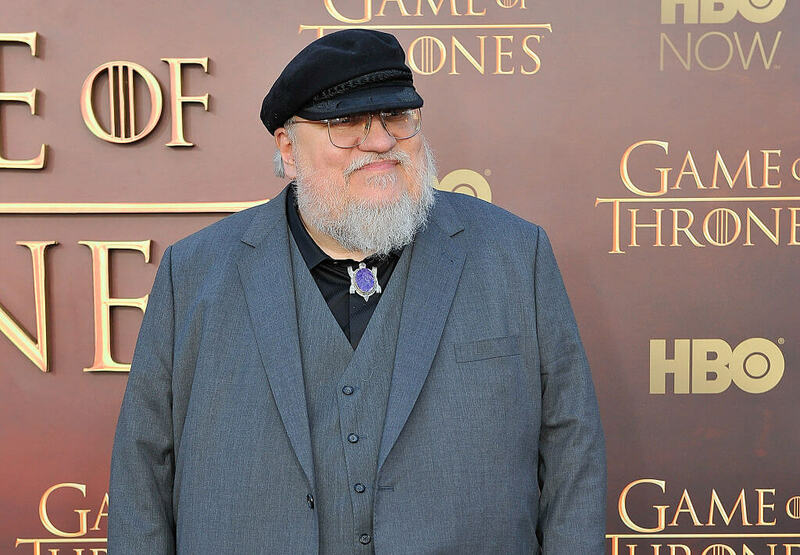 See what Game of Thrones Author George R.R. Martin had to say about the episode. The episode shows a purely evil side of Walt and fans everywhere agreed — including George R.R. Martin, the author responsible for Game of Thrones. Martin was so taken with Walt’s behavior, calling him a bigger monster than anyone in GoT. He even vowed to “do something about that” in his next book, so we’ll have to see what evil character Martin conjures next. If you’ve ever read any of A Song of Ice and Fire, then you know just how evil the majority of his characters really are, so that’s saying something. We already mentioned the infamous pizza scene and how the house used in the show has become quite the tourist attraction. Another interesting fact about the pizza plot is that the scene was filmed in just one take. Up next: the cast member no one wanted killed off. Working on a show like Breaking Bad means you can’t get too attached to anyone since they’re likely going to die. Aaron Paul opened up about how challenging filming Jane’s death scene was, but the one character death that saddened everyone was Mike’s. Breaking Bad isn’t for the faint of heart or those who don’t want to see characters lose their lives. The show has an impressive body count and can hold its own against the likes of Game of Thrones, The Walking Dead, and True Blood. When the show ended, the total death count was 270, with deaths ranging from gunshot wounds to asphyxiation to overdoses and poisoning. Oh, and don’t forget about people being blown up or taking an axe to the back. “Fly,” which is the tenth episode of season three has become arguably the most polarizing episodes of the series. 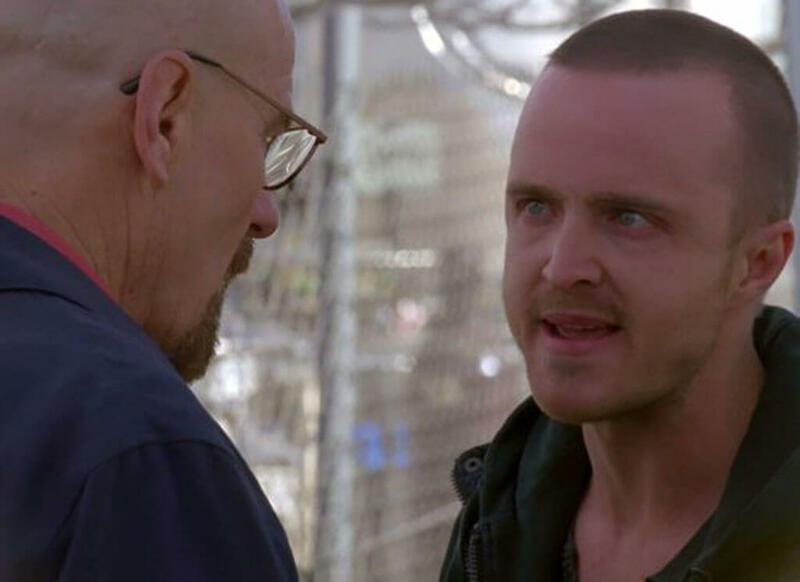 “Fly” is a bottle episode, focusing solely on Walt and Jesse in the lab where they cook their meth. While some fans detested the off-kilter episode, others loved it. Some even called it a work of utter genius. Whatever the case, Vince Gilligan revealed that the episode was made primarily for budget and scheduling reasons. Since it only needed two characters and one location, it helped cut production costs significantly. The landscape provided a unique setting for the series, from the cumulus clouds to the desert scenery. 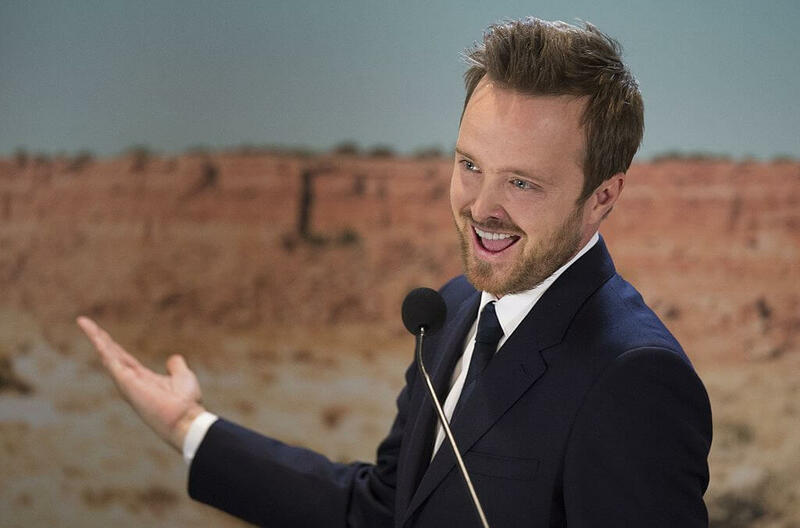 Aaron Paul, who plays Jesse Pinkman loves the area so much, he bought a home there. On the final day of filming the TV series, Aaron Paul was visibly emotional about the ending. Bryan Cranston wanted to raise his spirits, so during a take, he dropped his underwear, showing his rear end. It worked. The cast and crew were so proud and connected to the TV series that on the final day of filming, they decided to commemorate their experience with tattoos. The actors hired a tattoo artist to attend the wrap-up party. Before Netflix, fans of shows couldn’t binge watch their favorite series. They just weren’t able to watch episodes back-to-back to catch up or pick up where they left off. The cast and crew of Breaking Bad realized this and attributed a lot of the show’s success to Netflix and the ability for fans to watch older episodes and catch up with the latest. 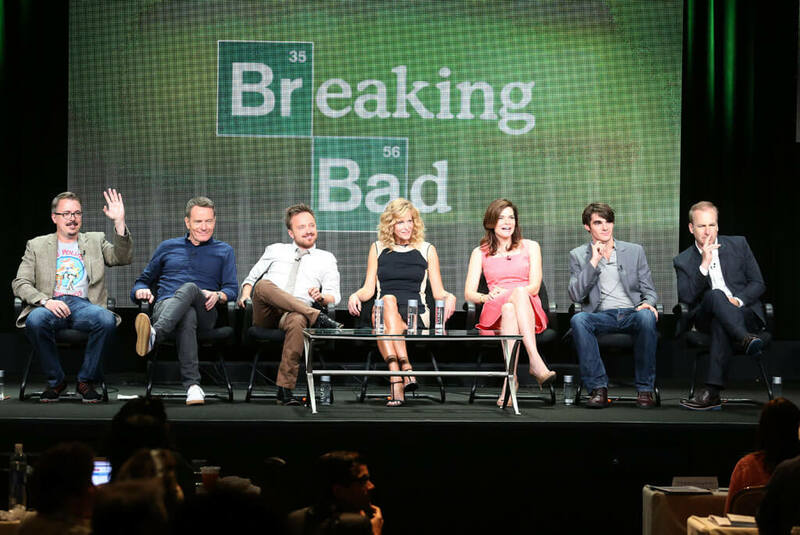 Cranston told USA Today, “We were very fortunate to be that first binge-able show. And once you give the audience a shot of Breaking Bad, they become addicted and had to see it through.” The hashtag #breakingbadbinge has 9,573 images. Breaking Bad is known for being rife with underlying symbolism, so naturally, fans couldn’t help but speculate the significance of baby Holly’s name. Holly’s name doesn’t have any scientific symbolism as some fans thought, but instead, is named after director Vince Gilligan’s real-life girlfriend Holly Rice. According to Vince Gilligan, there were numerous alternate endings to the show, each wilder than the next. Of course, they always had an idea of how it would end, but they were playing around with ideas just in case. One of the ideas included Walter shooting up an entire prison bus in order to save Jesse, killing off Saul, and a potential massacre in which every main character died. Luckily, they ended it the way they did which was the perfect send-off for such an epic show. 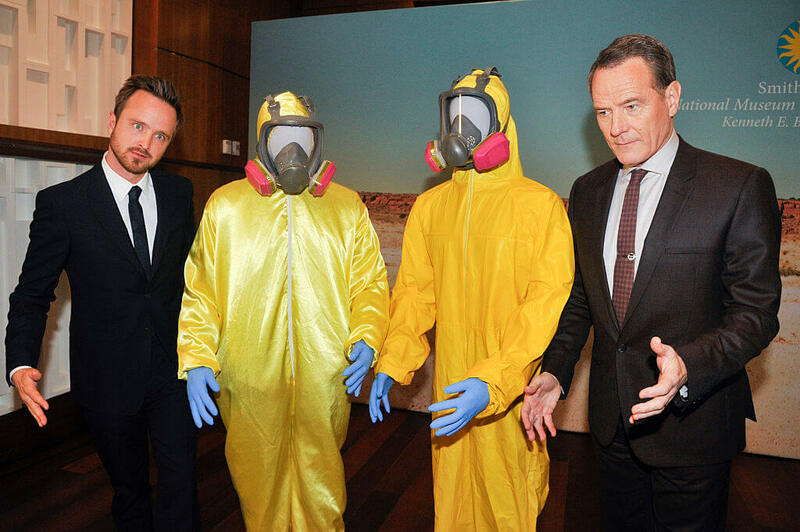 Aaron Paul and Bryan Cranston are two of Breaking Bad’s biggest stars. But before the duo worked together on the show, they almost co-starred in Malcolm In The Middle. Aaron Paul wanted to play Francis in the show but the part didn’t work out. In fact, he couldn’t even land an interview. “I read the pilot of Malcolm in the Middle because it was sent to me, and I desperately wanted to audition, but they kept passing (on) me,” Paul said. 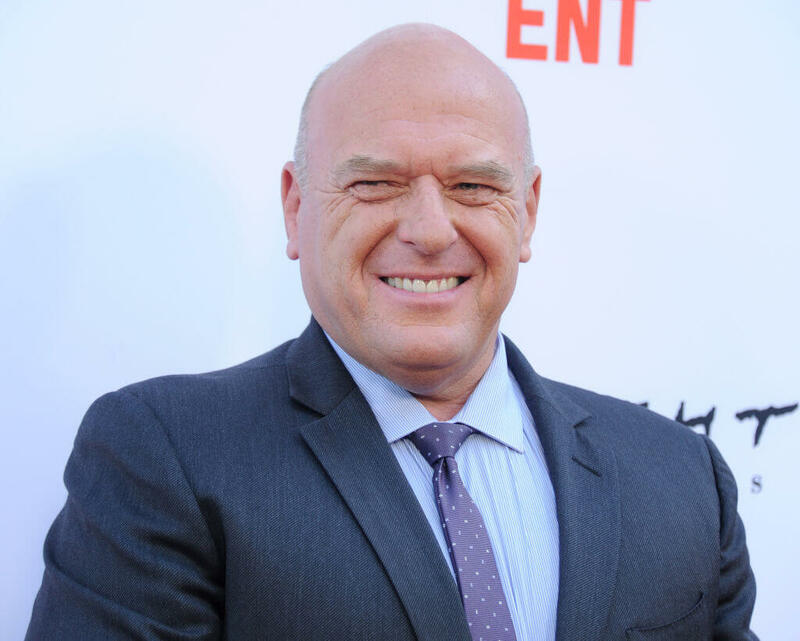 Apparently, actor Dean Norris who played the character of Hank Schrader was a little more than confused when he auditioned for the role. He walked into the studio thinking that he was auditioning for a comedy show, but he couldn’t have been more wrong. Although he got the role, Norris ended up playing an even more in-depth character than the writers ever intended. This is a good thing considering what a critical character that Hank was throughout the show.